Pet Sitting according to the nationally known Bella! I don’t claim to ever be a food expert – but have always respected those who are. 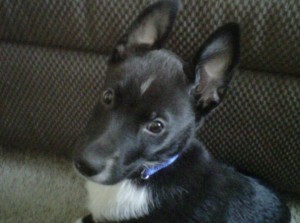 This week, Mark from Doggie Steps Dog Training came by to meet my ROCCO the Rockstar. 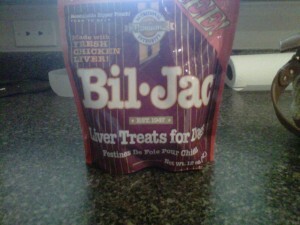 He saw the Bil-Jac Liver Treats for Dogs that I was using for Rocco’s potty reward (he goes potty outside all the time!) and did a “tisk tisk” shaking his finger at me. Concerned mother instinct kicked in and I started my research. Are you hearing what she is saying? One google search of BHA resulted in all I needed to know. These “treats” just got a one way ticket to the trash can. I posted on our Bella’s House & Pet Sitting Facebook Fan Page and Sabine added to my discussion. What I found out from her site has been so valuable and I wanted to encourage you all to take a serious look at what is in your pets food and treats. When they are being fed the same thing, day in, and day out… well – I hope you catch my drift. AAFCO: Consists of the dry, ground, rendered, clean parts of the carcass of slaughtered chicken, such as necks, feet, undeveloped eggs, and intestines — exclusive of feathers except in such amounts as might occur unavoidably in good processing practices. A clear colorless liquid, H3PO4, used in fertilizers, detergents, food flavoring, and pharmaceuticals. A harmless but unnecessary ingredient, used in inexpensive, poor quality dog food as flavoring, emulsifier and discoloration inhibitor. Used for example as a flavoring for Coca Cola. A colorless viscous hygroscopic liquid, CH3CHOHCH2OH, used in antifreeze solutions, in hydraulic fluids, and as a solvent. Used as humectant in semi-moist kibble to keep it from drying out. May be toxic if consumed in large amounts, and should definitely not be an ingredient in a food an animal will eat daily for weeks, months or even years of its life. In countries of the European Union, propylene glycol is not cleared as a general-purpose food grade product or direct food additive. Butylated Hydroxysanisole – a white, waxy phenolic antioxidant, C11H16O2, used to preserve fats and oils, especially in foods. Banned from human use in many countries but still permitted in the US. Possible human carcinogen, apparently carcinogenic in animal experiments. The oxidative characteristics and/or metabolites of BHA and BHT may contribute to carcinogenicity or tumorigenicity. Still think this is a TREAT? Think again. I bought this at PetSmart. I think I will be going back to FETCH Doggie Store later this week. I am grateful to have such wonderful friends and resources in my life to help make sure that my FUR CHILD stays happy and healthy. Curious to know if you are feeding your pets any ingredients that are on the AVOID list as seen on the Dog Food Project? Check it out here. YOUR PET IS EATING WHAT?!?!? When I began this journey I wanted to know what ingredients really are good, what are bad, what brands are healthy, and which well…can end up hurting your pet. It always never seizes to amaze me that the commercials are catered to the human pet owners, which after all, are the buyers. Having dog food bits in different colors, saying that whole grains and vegetables are a good thing, and appealing to our human emotion can be so detrimental to any pet if their human does not do their homework. This article is intended to spark your interest to DO YOUR HOMEWORK! A good place to learn is from Sabine at www.dogfoodproject.com She is not a representative and does not get paid by any pet food company. She is completely independent and a national expert. Something which Bella’s House & Pet Sitting always trys to provide our clients with…experts. For instance….Hills Science Diet. 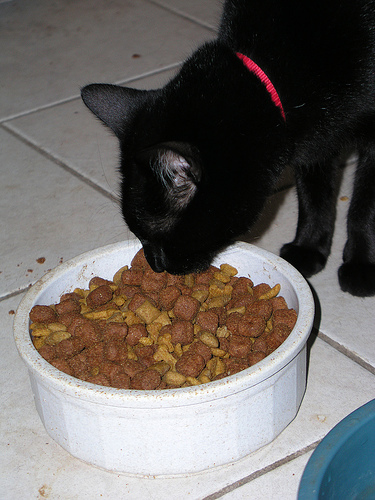 I have been told that this food is one of the WORST, yes WORST foods you can feed your pet. It is like feeding them McDonald’s every meal of the day for the rest of their life! Lets take a closer look…after all it is all right under your nose. Read the label and know what you are reading. Also commonly known in the pet world are low quality brands including Purina and Iams. Although they are endorsed by many…so they must be good, right? How about the fact that AAFCO is regulated by…. (drum roll please) THEMSELVES! If I remember correctly from the congressional hearings about the pet food recall – there are less than 10 people in the office. But somehow they manage to get their “seal of approval” on a bag of food. This is ridiculous! Friends, Clients, Pet Parents, Bloggers… I encourage you to do your own research to find out what you are really feeding your fur kid. How what you feed could be causing the allergies, cancer, or obesity. You know and care what you put in your own body… you should know what you are doing for your pet as well! Please do your homework! Vanessa on Pet Sitting with car magnets = bad idea in Scottsdale. Copyright © 2009 Scottsdale Pet Expert. All Rights Reserved.